The roulette wheel first appeared in the 17th century, when Blaise Pascal, a French philosopher, and mathematician, made it his mission to invent the perpetual motion machine. He didn’t quite achieve this aim, but he did invent a game that would be enjoyed at casinos. 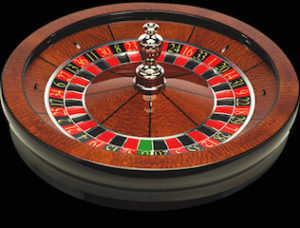 The roulette wheel has become synonymous with fun and excitement at many roulette tables. In this article, I look at all aspects of a roulette wheel. First I look at the layout of the two main wheels used in the game. I then look at the impact of the pockets on a wheel used at a casino, and the use of the ball. I finish with a look at some of the market leading wheel manufacturers. However, when casinos introduced the game, a zero was introduced to make the game a profitable one. 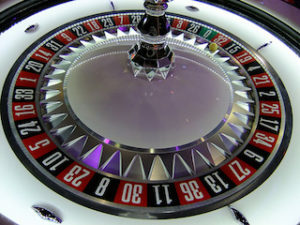 The early games were played mainly at European roulette tables and as such, the European wheel of today features a single zero. When the game made its way to America near the end of the 19th century, casino owners decided to introduce a second zero. The double 00 was a way of increasing their profit margin. The double zeros remaining in place ever since at American roulette tables. When you look at a roulette wheel you might be forgiven for thinking that the numbering system is somewhat random, as there doesn’t seem to be a pattern to the layout of the numbers. However, there are some rules which apply to the numbering of a roulette wheel that may not seem obvious at first. However, there are some rules which apply to the numbering of a roulette wheel that may not seem obvious at first. The most obvious aspect of the layout is that red and black numbers will always alternate. Odd and even numbers are distributed throughout the wheel also, with no more than two odd or even numbers adjacent to any part of the wheel. There is one part of the wheel that is more important than any other in maintaining the randomness of the results called the slots. Plus, it is essential that the wheel used is completely unbiased. For a casino, any predictability of results at the wheel could be extremely costly. In the past, there have been many stories of players picking up on certain numbers coming up more often than others, and capitalizing on this fact by making life changing amounts of money. It is very important that all these frets are secure, as a loose fret might mean less bounce for a ball, which could lead to more chance of a number/range of numbers being hit. Some wheels will feature curved frets, meaning the ball land in a V-shaped slot as opposed to a more rectangular area, and other have scalloped slots which the ball will fall into. The slots on a table will dictate how long the ball remains in motion before coming to rest. A smaller fret will mean that the ball will jump around a bit more than if the wheel has larger frets. Wheels with no frets at all will see a much-reduced bounce. 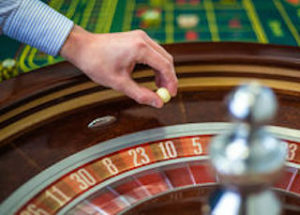 Some casinos will use different balls at a wheel to make the outcomes even more unpredictable. They will usually have a smaller and a larger ball, and the non-playing ball will sit on the top of the turret in the middle of the wheel. What is a roulette ball made out of? In most cases now, they are molded out of plastic. The material, which the ball is made out of, plays a key role, as it usually impacts the ball’s liveliness but does not increase any chances of the ball landing on a particular number on the roulette wheel. You may think that there are many roulette wheel suppliers in the market due to the sheer amount of casinos in the world. However, you will quickly discover that the roulette wheel market is dominated by only two roulette table manufacturers. The company offers a range of wheels including the Classic, the Connoisseur, the Mercury 360 and the Monaco. Additionally, they’ll also make bespoke wheels. Cammegh wheels are used at a large number of casinos worldwide. You’ll find a range of wheels including the Gemini, the Mark VII and the Saturn alongside the unique double action roulette wheel plus customizable wheels. TCS John Huxley has won Gaming awards in each of the last five years. Updated on September 7, 2017 by Best Roulette Team.